Karina's Kreations: Stampin'Up Beautiful You! Stampin'Up has a beautiful stamp set called Beautiful You #143637! This is a great set to have in your collection because the messages are uplifting and images are so fun to color. I stamped my image on a special card stock called Shimmery White#101910. I colored the image with watercolor pencils #141709 and used an aquapainter #103954 to blend out the colors. Pool Party ink was applied around the girl image using an aquapainter. Sale-a-bration is still on for another week and when you order $60.00 in product, you get a free item. One of the free items avaialble is the Cool Treats Designer series paper which is what I used on my card. 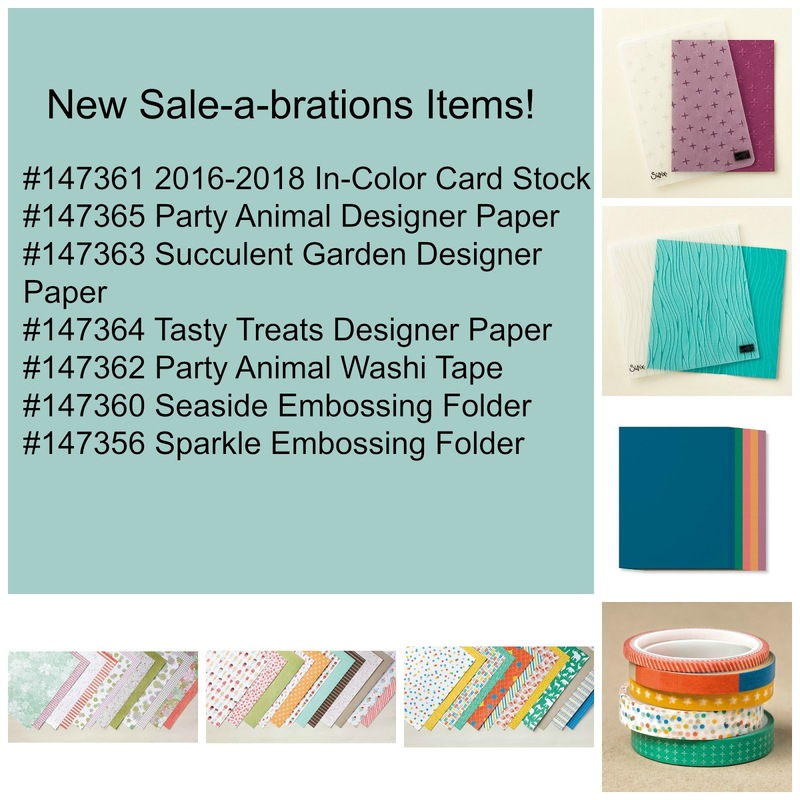 Here are the other new sale-a-bration items. I also used Crushed Curry baker's twine #134586, lace doily #142793, mini paper clips #142766 on my card. 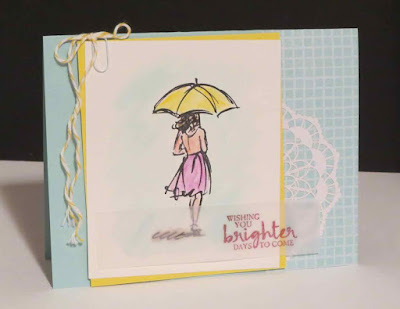 The greeting was stamped on vellum card stock and added to the card with a glue dot.